In yesterday’s post we had talked of Chennai’s lucky break for next spell of rains, it appears Chennai is indeed going to get the throw of dice from Bay of Bengal for the next spell of rains. 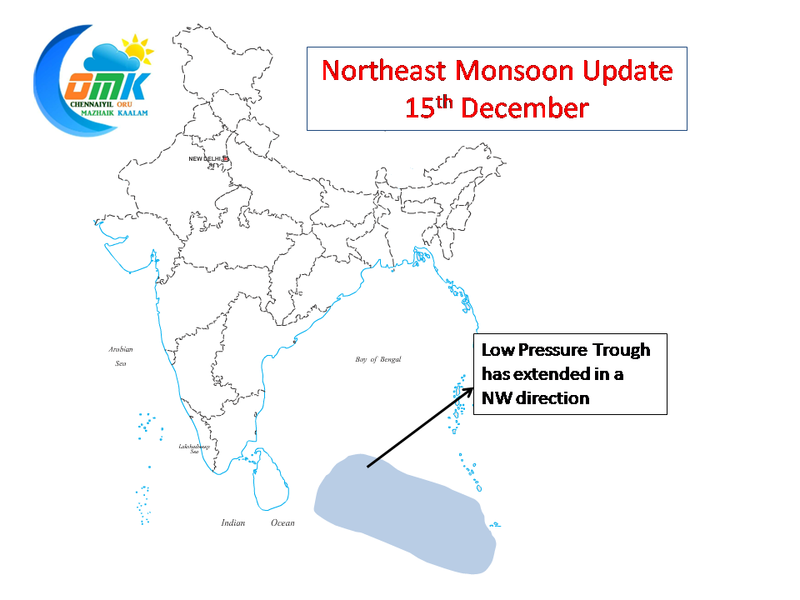 We had hoped the Low Pressure trough prevailing near Andaman to extend in a NW direction for better rain prospects. 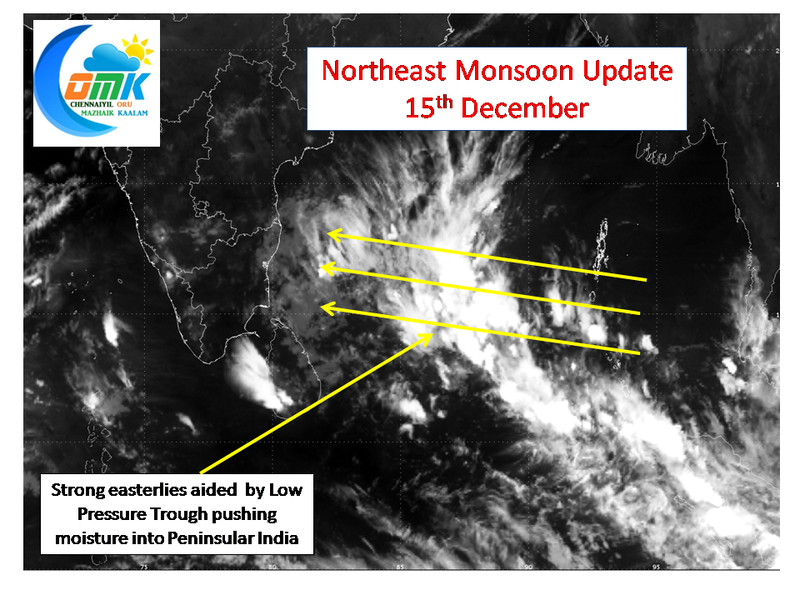 The trough has indeed extended in a NW direction providing Chennai an opportunity to get couple of rains thanks to the strong Easterly push happening from Bay of Bengal aided by the Low Pressure Trough and associated Upper Air Circulation. There is a possibility of rains starting early tomorrow morning, though towards evening seems a better possibility. The rains would possibly peak around Wednesday early morning for a spell of about 24 to 36 hours in all. The rains would be on and of like last week with spells of moderate intensity in between. 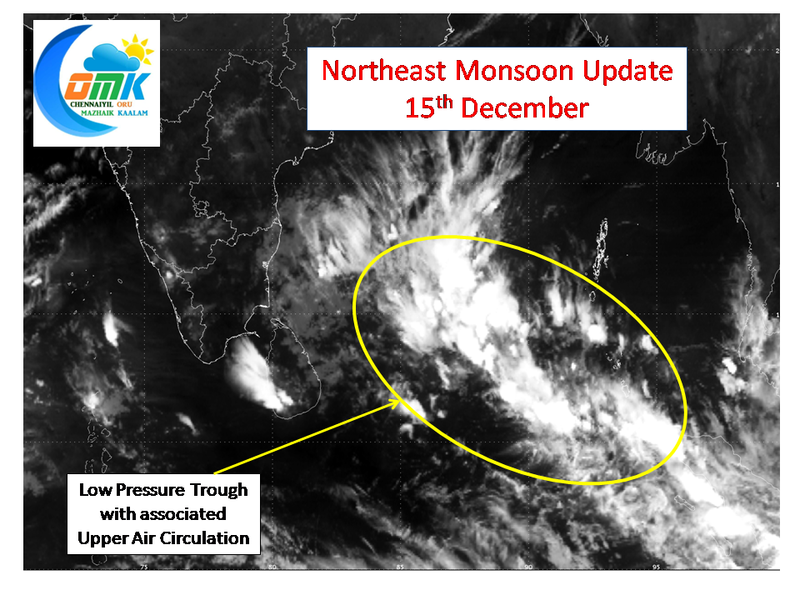 Coastal areas of both North Tamil Nadu & South Tamil Nadu stand a good chance of rains with interior areas of South Tamil Nadu also getting decent rains over the next couple of days. Will Chennai get a lucky break?